A funeral for the commander of a Russian Defense Ministry battalion in Chechnya, Sulim Yamadayev, will be held on Tuesday in the North Caucasus republic of Chechnya, Sulim's brother Isa said. 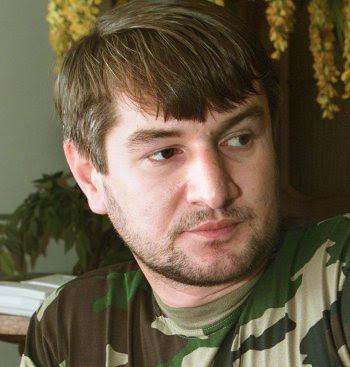 Sulim Yamadayev, a Hero of Russia who commanded the elite Vostok Battalion in Chechnya, was gunned down in Dubai on March 28, 2009. He was shot in the chest with three bullets from a gold-plated gun in the car park of a luxury apartment complex where he was living with his wife and children. Isa did not specify whether his brother will be buried in Gudermes and did not rule out that his body could be sent to his hometown from Dubai. Until recently, Isa insisted that Sulim was alive but in coma. "Our family has decided to turn Sulim's life support system off," Isa said. "Tomorrow we will hold his funeral in Gudermes," he continued. Tajik businessman Makhsudzhon Ismatov and Iranian Mahdi Lorniya were accused of planning the murder and assisting the man who pulled the trigger. They will be deported to their home countries after serving their terms of 25 years, which is equivalent to a life sentence in the Gulf state. Lorniya previously worked in Chechen President Ramzan Kadyrov's stables. Police said the gun used in the killing had been handed over to Ismatov and Lorniya by a Chechen delegation led by Kadyrov during his visit to the United Arab Emirates in 2008. The Dubai court rejected in December a request for Kadyrov to be summoned to give evidence at the trial. The name of the man suspected of pulling the trigger has not been disclosed. Investigators said he acted on information received from Ismatov, who is believed to have helped the man flee the Emirates. Dubai police have accused Adam Delimkhanov, Kadyrov's close friend and a lawmaker in Russia's lower house of parliament, of ordering the assassination. Both strongly denied any link to the murder. Both Kadyrov and Yamadayev were former militants who joined Russia's federal troops. Chechnya saw two separatist wars in the late 1990s-early 2000s. The Vostok Battalion answered to the Federal Defense Ministry and clashed on occasion with forces loyal to the Chechen president. Sulim's brother, Ruslan Yamadayev, a former member of the Russian parliament's lower house, was gunned down in central Moscow in September 2008. He was a prominent opponent of Kadyrov, who denied any involvement in his killing. An attempt on Isa Yamadayev's life was made in July 2009, he said earlier. Isa said Sunday he is ready to become Kadyrov's ally. 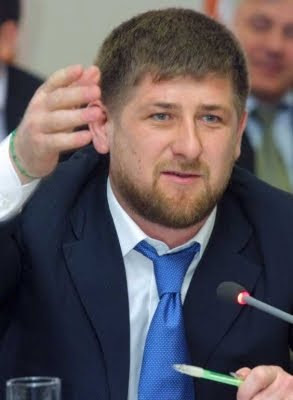 "We discussed with Ramzan Akhmatovich [Kadyrov] the situation [in their relations] and came to a conclusion that there are no reasonable causes preventing us from reaching normal relations," Isa told journalists at his house in Gudermes. Yamadayev said that some media artificially provoke disrespectful relations between him and Kadyrov adding that he feels no distaste toward the Chechen president.